This past Saturday before the weather got ugly, we popped over to Chelsea, had lunch at Old Homestead and then walked the High Line over to check out The Sartorialist exhibit at the Danziger Gallery. 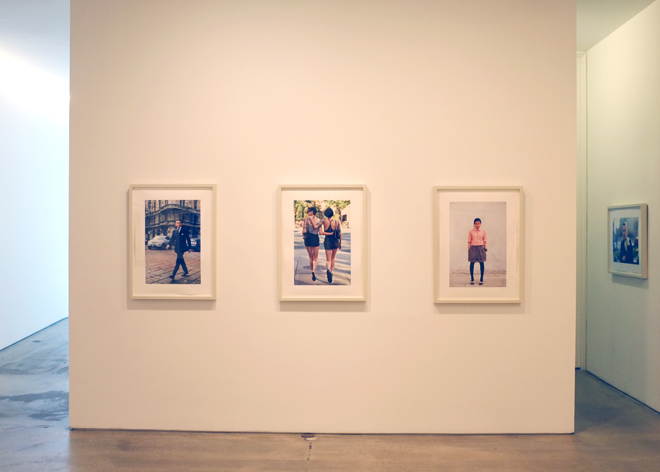 The show which is running in tandem with NYFW features images from Scott Schuman's new book The Sartorialist: Closer. His blog on which he documents fashionable street style was the first of it's kind back when he started it and still remains one of the best in the genre. I've always enjoyed his work because the photos are just as much stylish portraits of the subject rather than just a mere record of what that person is wearing. The first two images are my favorites and the one on the left also appears on the book's cover. You might spot some familiar faces in the rest of the selection. 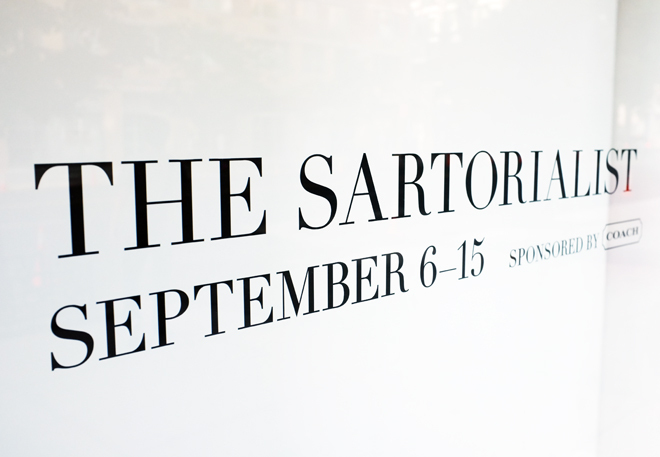 Are you a fan of The Sartorialist? i really wish i were in nyc still so i could go see this show for myself. great selection! I think The Sartorialist really has changed our fashion world in my opinion. Streetwear has evolved a lot and people have become more style-conscious. Also, I agree with Fluff and Fripperies! I so wish I lived in NYC! Didn't even know about this exhibit! 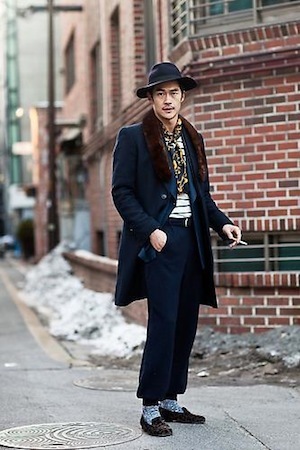 I like The Sartorialist. I'll check out the blog once in a while because I find that the images, like you said, are more than just clothes. There's a story there too. I adore his photos. The composition and the way he uses the natural lighting make his photos stand out from the rest of the crowd. He is rather outspoken and I suppose comes across as slightly arrogant but he tells it as it is. I'm a HUGE fan! Some of these photos I've had saved for ages now. They're classic and timeless. Such a talent and you can spot his work in an instant. Scott Schuman really does capture his subjects beautifully though I've read a lot of negative press on working with him. His photos are still gorgeous! Aww I wish I was in NYC! Have a nice day, Rowena! Great exhibit! Wish we could see it! Aw I would have loved to see this exhibition too, his photos always capture the person behind the fashion! What an honour for this man! 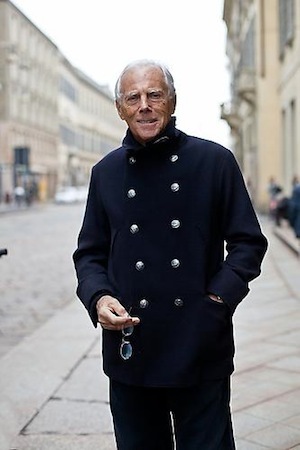 He has photographed some of the most famous people in fashion, and Mr. Armani, Anna are all there. I hope all is well and you are feeling better. So much inspiration in these photos! Streetfashion rocks! How I wish I could have seen this in person. Looks amazing. Thanks for giving me a peek! Such a talented individual! Love the images you've shared here and what wish I was there! These photos are absolutely beautiful, how fun you gotta go see them up close and personal. Really beautiful images and great exhibit, he is very talented indeed. I hope you had fun Rowena and you're feeling better now. Has the weather imporved at all now? I'm back in slightly chillier climate, but never been happier in LondonTown. I need to subscribe to his page! I saw the book cover while I was away and saw where there was an exhibit, but you were the first to cover it! I thank you! The pics are truly amazing. It's like you're there. He covers the fashion but also the feeling. Love it and so glad you got to go Rowena. I do love the Sartorialist.. he captures style, attitude and emotion so beautifully. His images are always intriguing.